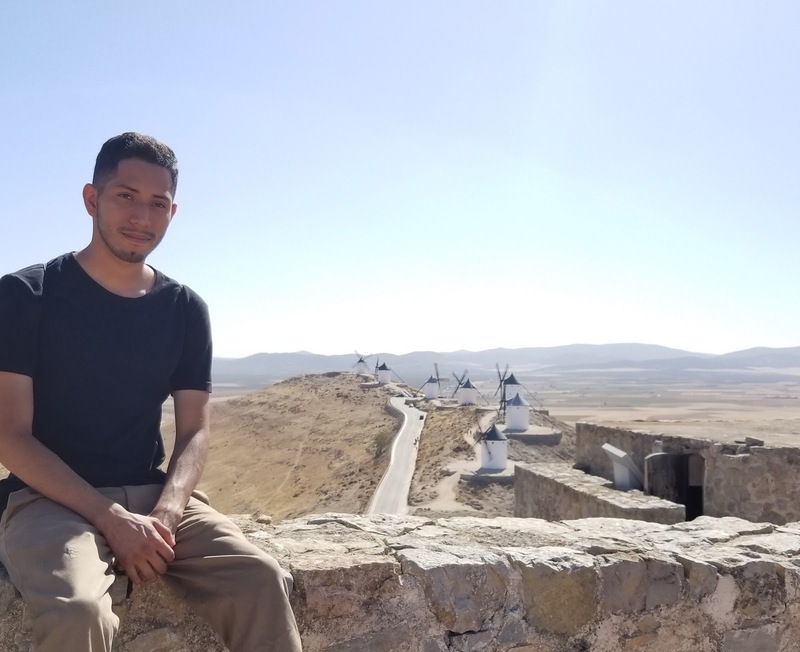 Luis Palafox at the windmills of the La Mancha region in Consuegra, Spain, about 80 miles outside of central Madrid. Luis Palafox is a senior biomedical engineering major, and a current Gilman scholar studying abroad in Spain. Below, he answers questions about the scholarship application process and his study abroad experience so far. UArk BME: Where are you from? How far along are you in your studies at the U of A? Palafox: I am from Fort Smith, Arkansas; it is my hometown and I went to high school there (go Northside Grizzlies!) I completed 2 years of undergraduate study at the University of Arkansas Fort Smith prior to transferring to the main U of A campus in Fayetteville. I completed my junior year here before leaving to study abroad and I am now a senior, currently in my 4th year of undergraduate study. UArk BME: When/how did you first hear about the Gilman Scholarship? Palafox: I first heard about it from Bryan Hill when he made a presentation in my course “Intro to Biomedical Engineering,” which Dr. Raj Rao was teaching at the time (fall 2016). Bryan presented new study abroad options for BME students—there was an opportunity to go out of the country for transferable credits in Australia, Denmark, or Spain. Towards the end of the presentation he discussed funding options such as saving personal money, going to nearby local churches for possible scholarships, setting up a GoFundMe, applying for bank loans, using FAFSA, applying for UArk scholarships like the Johnetta Cross Brazzell Award or a College of Engineering travel grant, and applying for outside scholarships like the Gilman Scholarship. The BMEG building in the the UC3M Leganés school. UArk BME: What was the application process like? Palafox: It was a rigorous experience, especially because I was working on a few other study abroad scholarships at the time. It was early in the month of March 2017, and my Gilman application had the toughest questions—I was to write a statement of purpose essay that discussed, for example, what challenges led me to choose to study abroad, and how I anticipated going abroad would impact me. The second essay on the Gilman application was about my project proposal. I remember thinking throughout the mornings and nights about the essays and as the last days approached, I thought I’d be rejected because of not giving myself more time to write. I also asked two BMEG friends to help me proofread my essays, which they kindly did even though they were busy studying for their wave of spring semester exams prior to spring break. UArk BME: Where in Spain will you be, and what are your plans for when you’re there (internships, study, etc.)? Palafox: I’m currently in Madrid, specifically in the central region, and I commute to Leganés to attend classes for the academic year. I plan to volunteer at nearby health clinic or veterinary hospital as soon as I receive my Spanish resident card, which you need if you stay in the country for more than 180 days (6 months). I am also currently participating in a group engineering competition at my exchange university that could go from the local to the state level, and possibly even national. As a Gilman Scholar, I need to blog about my experiences abroad, so I am working on my personal wordpress site. In between my fall and spring semester I plan to visit other countries such as France, Italy and Belgium. 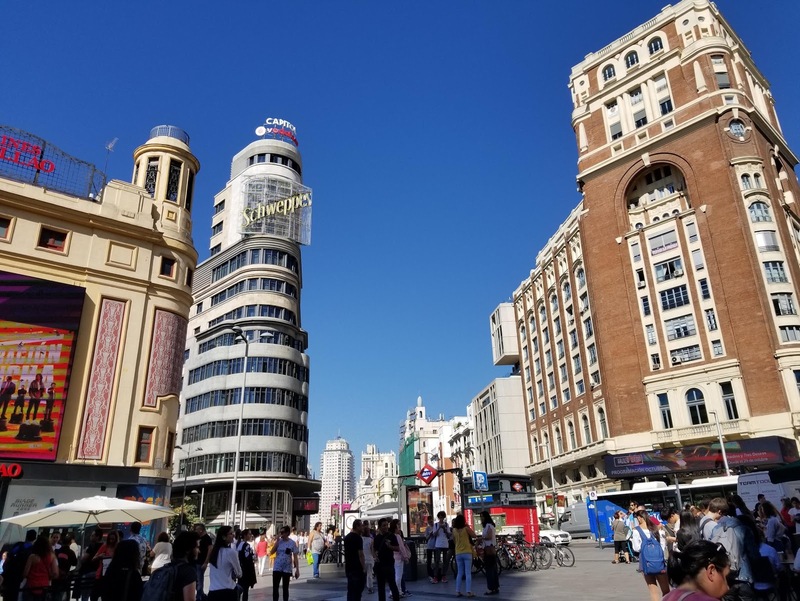 I also plan to create another wordpress site with information about preparing to live in Madrid, as well as a homestay program available to University of Arkansas students. I wish to have the website ready by January 2018, and I plan to include an accommodation option to help English native speakers study abroad in Madrid, Spain. It is quite expensive to go to another country—especially the central capital of España—so with the help of my current homestay family I plan on building a bridge to help students to study in Europe. Madrid’s commercial center, Gran Via street. UArk BME: How will this scholarship help you in your study of biomedical engineering? Palafox: It has given me ease of mind to know I can afford the cost of living in the community of Madrid, Spain. 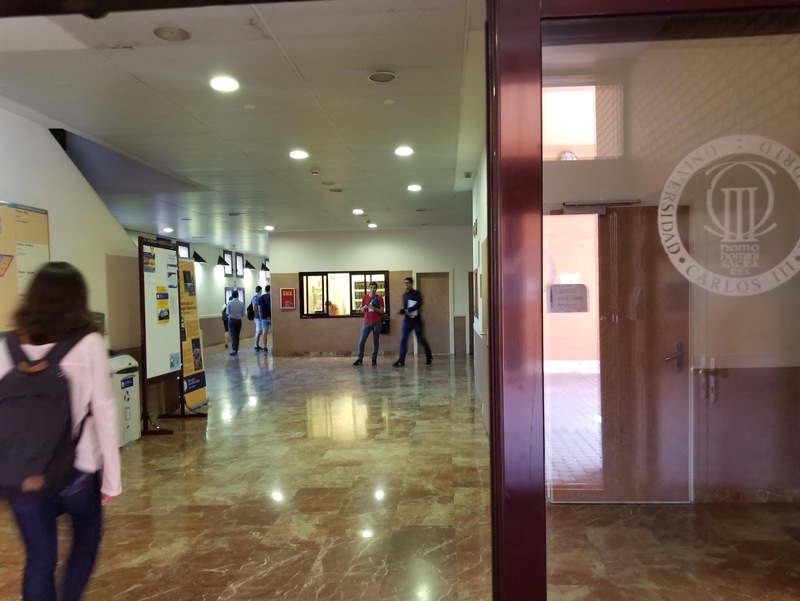 Award winners for fall/spring semesters were announced at the end of July 2017, and when I received the email it made me much less nervous about leaving the U.S. to go to Spain. With the help of the Gilman scholarship I will be more comfortable, and will have more time to devote to my studies at UC3M, UArk and other institutions down the road. UArk BME: Any advice to other University of Arkansas students looking to pursue international scholarships like the Gilman? Palafox: University of Arkansas students should consider some sort of undergraduate research, volunteer work, or part-time job in their first two years of college. When freshmen year ends, go on the Gilman website and learn about your eligibility for potential scholarships and register for the newsletter. Consult with the dean of your department about available countries, and work on improving your curriculum vitae. The Gilman International scholarship will help get you through college while abroad and will strengthen your CV; I highly recommend attending a Hogs Abroad meeting about the Gilman! 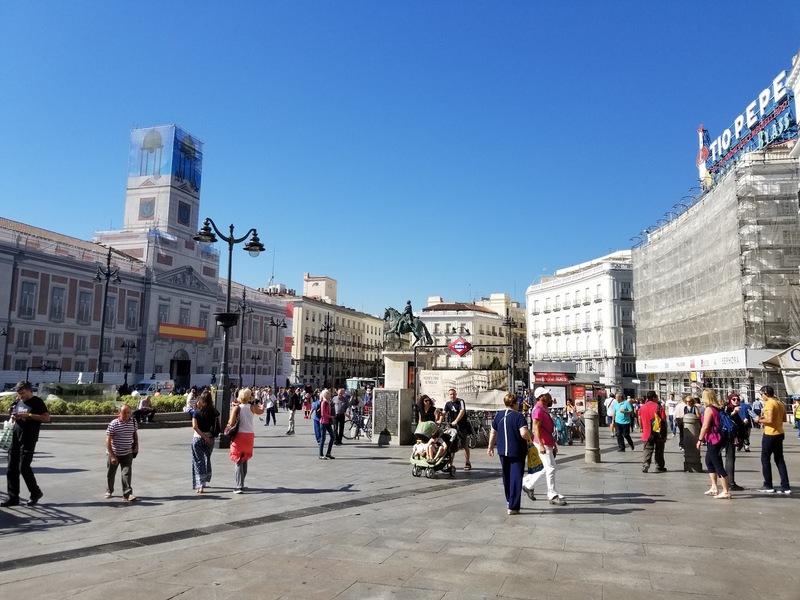 This public square called Puerta del Sol is one of the busiest places in Madrid. UArk BME: Anything else you’d like to add? Palafox: Before going abroad, whether you’re majoring in biomedical engineering or something else, it’s best to believe in yourself when submitting those scholarship applications. Also prepare yourself with some language courses for your designated country and be sure you’re taking the right courses otherwise—the decision to go abroad can be made even after your first year or third year, but some prerequisites such as organic chemistry 2 or university physics 2 may be needed. It’s also best to give yourself plenty of time to write those application essays and complete other necessary paperwork. It can seem overwhelming because there is a lot of prep work to be done—I had to go to Houston, Texas, in May 2017 for a Spanish student visa, for instance—and it may all feel tedious and expensive, but have faith. It’s worth it! My personal blog is here. I’m developing the blog and will be adding many new photographs soon!